The Rock & Mineral Society of Hawai’i or Hui Pōhaku Ō Hawai‘i is the only ‘Mineral Club’ in the State. Sunday June 2: 10 am to 5 PM. Come and join us for a unique Gem and Mineral Show in June 2019 in Honolulu with minerals, mineral jewelry and gemstones for sale to the public. FREE Admission! We meet on the 4th Wednesday of each month in the Makiki Distict Park in Honolulu. We welcome anybody interested in minerals and gem stones and hope you can join us at one of our club meetings to meet kindred spirits and talk story about ‘rocks’. Established in 1970, the Rock & Mineral Society of Hawai’i, Inc. is a non-profit, educational organization dedicated to mineral and rock collecting and appreciation and the lapidary arts. If you have made it this far, and found us on the web – Congratulations! But now it gets a bit tricky if you need to ‘find us’… We hope you read these instructions carefully and/or watch the video. 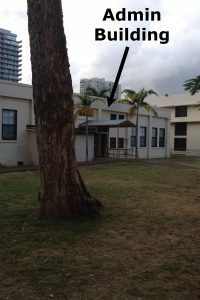 Easy part first: We meet in the “Admin Building” on the 4th Wednesday of each month from 6:15 – 8:00 pm at Makiki District Park in Honolulu (except for adjusted dates in November and December). We hold the ‘club business’ part of the meeting first, followed by an educational part. We discuss the mineral of the month and members bring examples of said mineral from their collection for a “show and tell”. Occasionally we have a guest speaker or a slide or video presentation. The meeting ends with potluck and ‘talk story’ until we need to vacate the room around 8 PM. Please check our FaceBook Page for current updates and the meeting topic of the month. Club members get a reminder email and newsletter with the mineral of the month. 2017 update: Lately there is often a yoga class in the ‘admin building’ more or less starting around the same time with us. Be brave and enter, pass by the bathrooms and go all the way inside. We are meeting in the separate room in the back to the right (leaving the yoga class in the open room to your left). Please note that if a month happens to have 5 Wednesdays we do not meet at the ‘last’ but still the 4th of that month. Please enter the parking lot from Ke’e’aumoku Street. Parking is free but limited, due to the frequented tennis courts, pool and skateboard facilities in the park the lot might fill up fast. There is often parking available on the other side of the park next to the community gardens, if you know the area. Street parking along Ke’e’aumoku Street may be your best option, if you come right after 5:30 PM when it becomes legal and are brave enough to park in rush hour traffic. 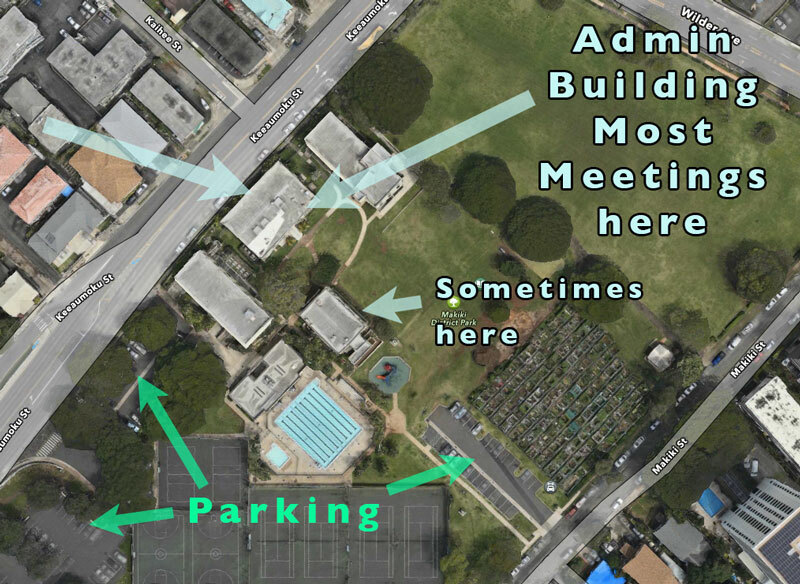 If you park in the (ewa) parking lot next to the tennis court walk mauka towards the buildings in the park (see map below). Take the walkway between the first two buildings and you see a smaller building in the back slightly to the left. 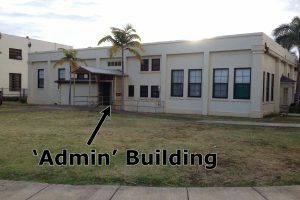 Turn left to the administrative building on the ewa side and the door takes you directly into the building on the ground floor. The meeting of Hui Pohaku is in the smaller room inside the administrative building a bit more in the back to the right. Lapidary classes are normally held on Thursday evenings from 6:00-8:00 pm (clean up at 7:45 p.m) and are open to all Rock & Mineral Society of Hawai’i members. Please attend a meeting to find out more and if the classes are being held (and how to find it). Sometimes, when this room is not available, we also meet in the other small building on the Diamond Head side. Room changes are also announced on our FaceBook page.